More information is out on the upcoming drama, Orange Marmalade (I can’t be the only one out there who keeps trying to call it Orange Caramel) and while I’m not super pleased with the idol-actress heroine (Seolhyun from AOA), I continue to get more and more excited about it. Like really excited. As in, I’m not entirely certain the last time I’ve looked forward to a drama like this. Especially not over a high school drama. I like the rest of the casting as I do love me some CNBlue boys and a weekly dosage of Jonghyun will do nicely. Why do I not care that he’s an idol actor and Seolhyun is? What can I say? I’m fickle and boy biased like that. Umm…. that’s a lie. I don’t mind idol actors, but I’d just like them to work up to lead roles. And since the hero on this drama is Yeo Jin Gu one of the most exceptional young actors out there, I worry about her being able to keep up. Then there’s the other thing. 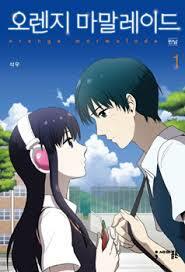 Since writing the last post on this drama, I’ve been reading the webtoon and I like it, I mean I really like it. It’s cute, and fun and the characters are really endearing. 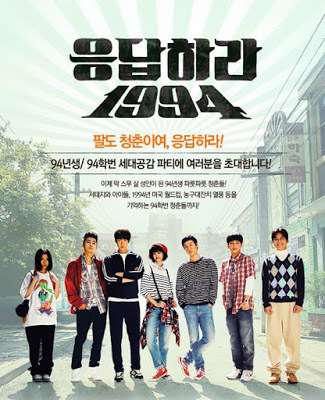 Of course I’m only 10 episodes in so that could change (considering they just cast Song Jung Ho from Answer Me 1997 as a character I haven’t even met yet), but for now, despite any casting they go with, I’m totally going to watch this drama. I’m probably may even simulcast it. Yes, me the staunch non-simulcast-er. And if you want to read the webtoon, you can read it fully subbed here. When you do, let me know what you think! Also–tell me who you think should play the aunt? She is such a cool character and I hope they cast her well. You From Another Star Coming Here? It seems like we are getting closer and closer to an actual Kdrama making it on the air as a US remake. We. Are. Getting. So. Close. (You know, for better or for worse.) It’s almost a wonder who is going to make it first? Joo Won’s Good Doctor? Nine? Answer Me 1997? Grandpa’s Over Flowers? Or the newest contestant–You From Another Star. As other countries are hurrying (legally and illegally) to remake this crazy-popular drama themselves, it makes sense that the US would at least think about wanting to get in on that. 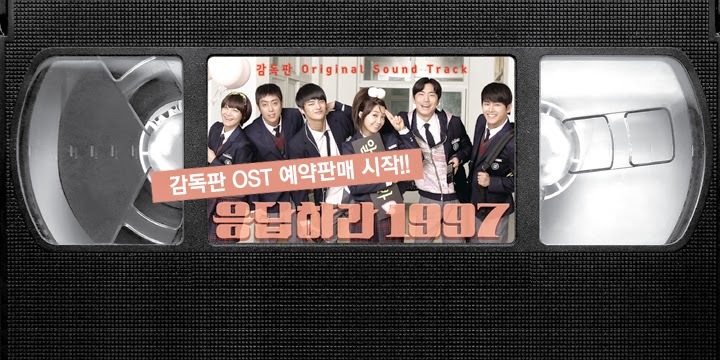 Sometimes I forget that Seo In Guk actually started out as a singer and, as most of us were introduced to him as an actor in Answer Me 1997, I’m sure I’m not the only one. Just recently I realized I actually own one of his releases, Can We Dance Tonight and one of the songs, actually Can We Dance Tonight had made it’s way onto my workout playlist. Why do I like it so much? The line he keeps repeating “Dance, dance party tonight.” Now, what person doesn’t love a good dance party? Late at night, alone in your apartment, turn up the music and just let to–now that’s a good dance party. 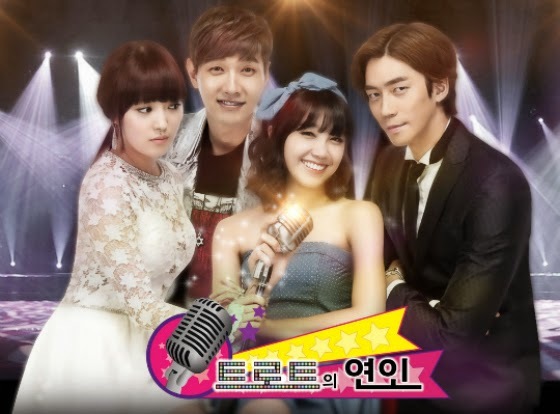 In a complete turn around, with the casting of Jung Eun Ji, I am suddenly very interested in the upcoming drama, Trot Lovers. Before, my interest was fairly low to not at all, and now, I might actually watch it. Funny what changing a single person can do. When I say it’s been forever since I’ve done a Soundtrack Sunday, I’m not lying–it really has been as the last drama review I snuck in, Pride, didn’t have an OST. Or maybe it did. It was Japanese, so I didn’t really check. But I’m finally getting this review for Answer Me 1997 out, so Soundtrack Sunday is back! Seo In Guk is Coming Back To TV! He’s also going back to TvN and he’s also going back to high school. Don’t get me wrong, I do really like Seo In Guk, but I’m not seeing that he’s showing a lot of range in his acting. However, I liked him in Answer Me 1997 and I liked him in the movie, No Breathing, so I’m willing to give him a second, third, and possibly fourth chance.